Extremely rare fancy full Accoyo with BLACK skin! With most Accoyos being white and a few fawn in color, Diamond is truly a rare gem. 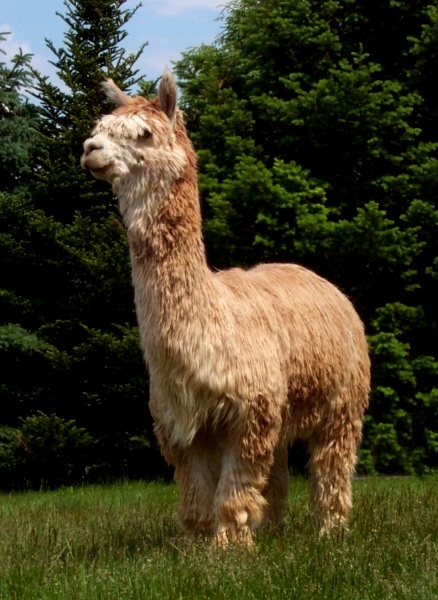 Diamond originated from Latah Creek Alpacas, one of the top suri breeding farms in the country. His crias are terrific! Diamond is now deceased, making this bloodline very limited. We were so impressed with Caress that we purchased her from one of our customers just after she was born. She has wonderful fleece characteristics a is evidenced by all her fleece show wins. She is a large girl, but well-proportioned with very correct conformation. 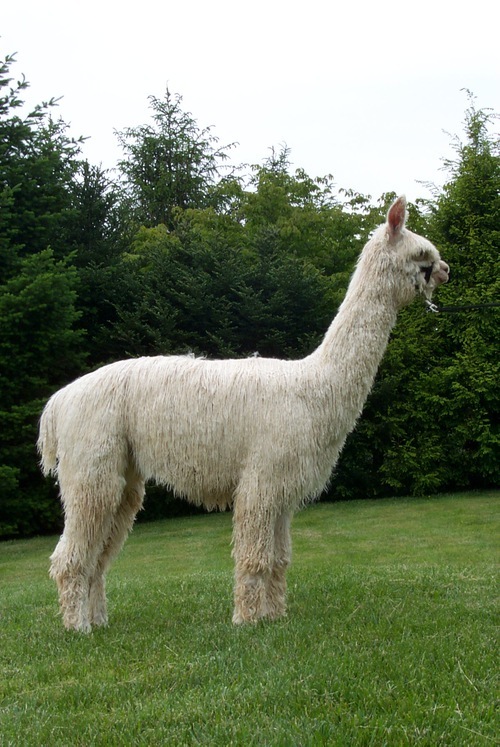 Se has inherited the fleece architecture and density of her sire, Accoyo Maurizio. Caress carries the bloodlines of Accoyo Maurizio (darkest Accoyo Bruxo son to date), Accoyo Lucma (dam to Accoyo Baccarat, our foundation Accoyo herd sire), and Accoyo Baron (recently deceased and owned by Five Star Alpacas). 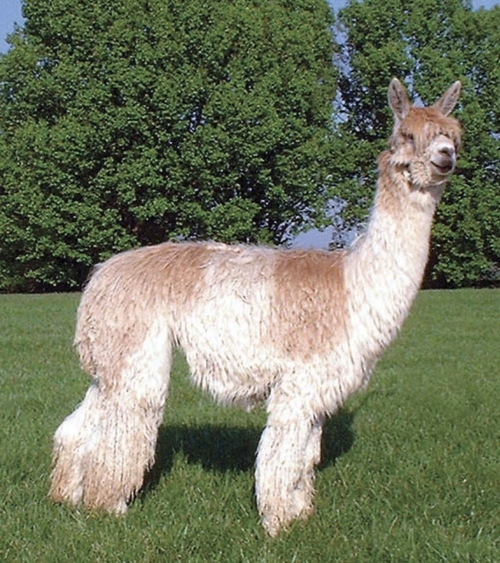 in 2010, Caress delivered a beautiful dense and high luster male cria out of LCA Accoyo Diamond Dream, WRSR Accoyo Big Money. Blinding white luster, beautiful locking, and impeccable conformation, Big Money offer it all as a jr. herd sire with full Accoyo genetics. 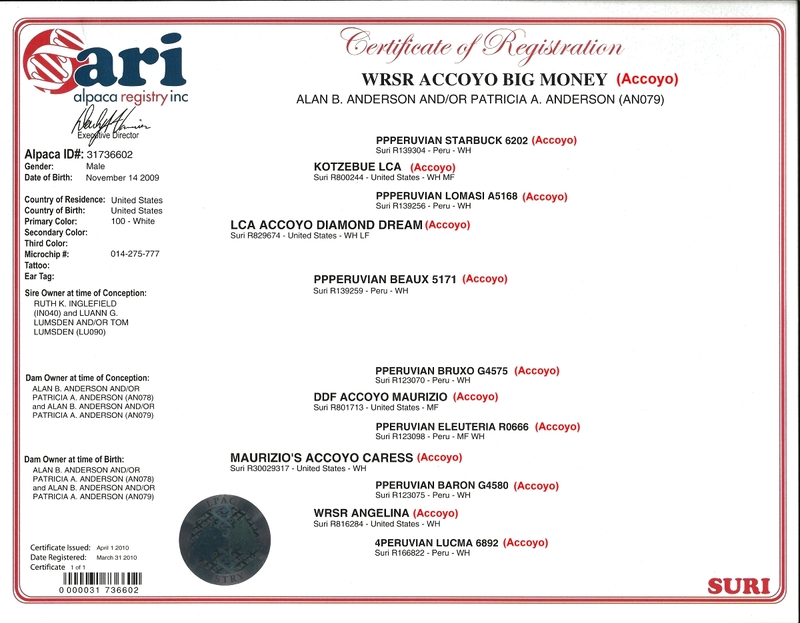 His dam, WRSR Accoyo Caress is an Accoyo Baron granddaughter, and Accoyo Maurizio (med. fawn) daughter. His sire is LCA Accoyo Diamond Dream, a fawn & white multi Accoyo and Accoyo Kotzebue son. Big Money has the genetic background to produce color when bred to colored dams. He tested at 21.1 micron AFD August 2010, with an SD of 5.9 and CV of 27.9. Big Money's 2013 fleece has been Certified Sorted and is a uniform Grade 3, non-hairy (primaries & secondaries very close in size). His sort record is available upon request. He offer genetic potential to improve your females that are "hairy" to produce non-hairy crias. His 2014 histogram tested at 23.1 AFD, SD 5.3, CV 23.0, with a comfort factor of 93.8% at 4.41 years old. He would be a great addition to a farm for improving fineness and luster, along with strong conformation. He has a great disposition and is easy to handle. Big Money's sire is LCA Accoyo Diamond Dream, an extremely rare fancy full Accoyo with BLACK skin! With most Accoyos being white and a few fawn in color, Diamond is truly a rare gem. 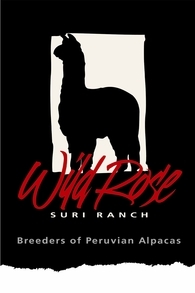 Diamond originated from Latah Creek Alpacas, one of the top suri breeding farms in the country. His crias were terrific! Diamond Dream in now deceased, so this is a very limited bloodline. WRSR Accoyo Caress is the dam of Big Money. We were so impressed with Caress that we purchased her from one of our customers just after she was born. (We sold her Caress' dam with the breeding to our male, Accoyo Maurizio). She has wonderful fleece characteristics as is evidenced by her 2 Champion fleece show wins. She is a large girl, but well-proportioned with very correct conformation. She has inherited the fleece architecture and density of her sire, Accoyo Maurizio. 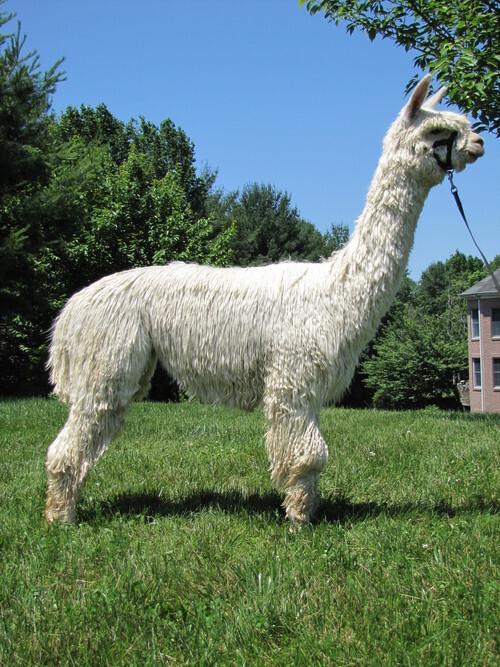 Caress carries the bloodlines of Accoyo Maurizio (darkest Accoyo Bruxo son), Accoyo Lucma (dam to Accoyo Baccarat, our foundation Accoyo herd sire), and Accoyo Baron (recently deceased and owned by Five Star Alpacas). Big Money is also available for breeding. Big Money is related to most of our Accoyo females and many of our other females, too. Therefore, he did not get used in 2013 or 2014, but is VERY ready to breed. Get some great Accoyo density and luster genetics with a breeding or purchase of this new male.